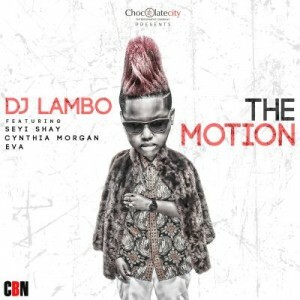 Nigeria’s foremost female DJ, DJ Lambo is out with a brand new single; ‘The Motion’ which features Nigerian music divas, Seyi Shay, Cynthia Morgan & Eva Alordiah – three of whom have continually carved niches for themselves in the Nigerian music industry. This all female affair is sure to quickly become a music anthem in no time. The mid-tempo dance-hall hit was produced by music-making machine Chopstix and fast-rising Chocolate City in-house producer, Reinhard. ‘The Motion’ was mixed and mastered by GPlus. DJ Lambo who is M.I Abaga & Chocolate City’s official Disc Jockey, has been on a recent row of form, headlining shows and events around the country. Currently nominated in the best DJ category at the NEA Awards and the City People’s Awards, DJ Lambo shows no signs of slowing down anytime soon. Listen, download and most importantly tell someone, DJ Lambo is here to start the party!